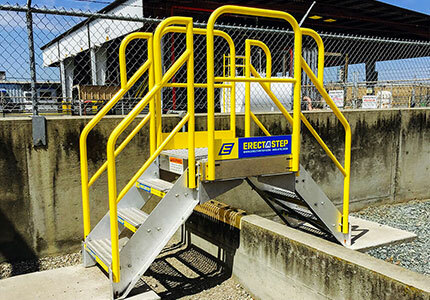 SafeRack Construction Services (SCS) offers turnkey installation of pre-cast pads with ErectaStep for super fast installations – especially where conditions or access for pouring concrete are not conducive. 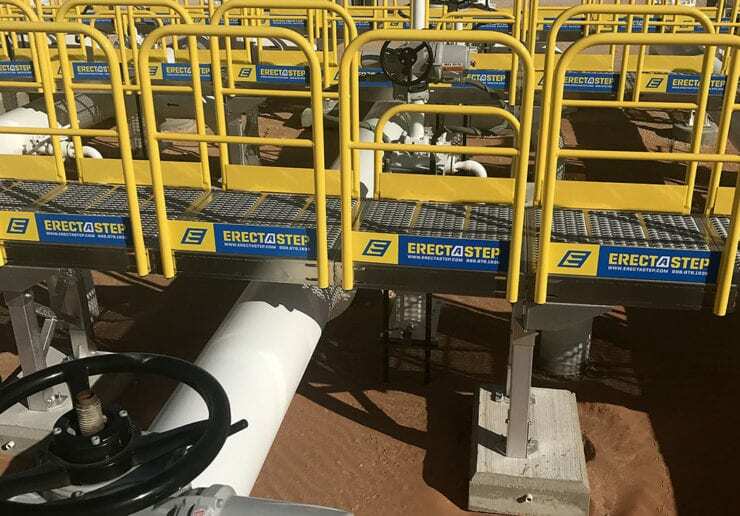 Specially designed for Erectastep products, our pre-cast pads are convenient and can be field fit with no special tools to meet exact height requirements. Poured with high-strength concrete, the pads are stocked and ready for installation exclusively by SafeRack Construction Services. They are great for tank farms that have high concrete containment berms where getting equipment inside of the berms can be difficult. 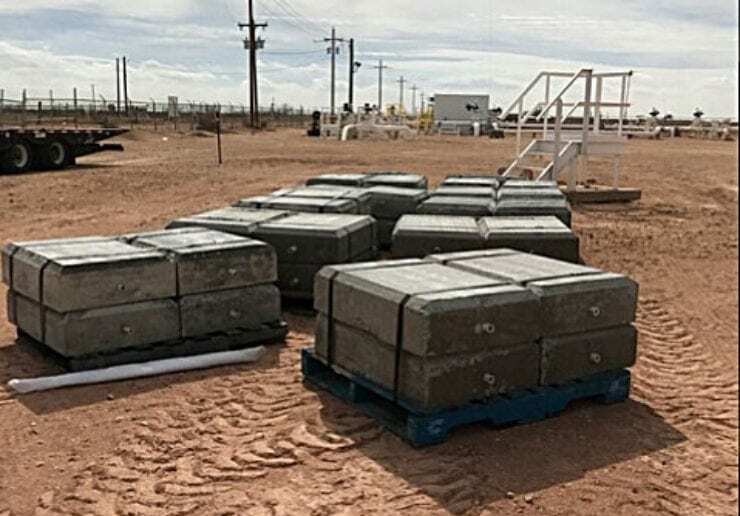 With PreCast Concrete Pads, applications in remote locations can quickly and easily be installed. Upon delivery, a skid-steer loader can unload the precast pad to the location and drop in place – eliminating the need to send an LTL shipment to a remote location, or order an entire cement mixer for footers. All that’s needed for installation is a shovel and a level. Your SafeRack and SCS representative can quote your turnkey installation project within one (1) business day. Standard Dimensions: 3' x 2' x 9"